You have followed the events on Everest for decades and also experienced what has been going on there. How do you assess the development of recent years? It seems that more and more people are coming to Everest. Actually I expected the number to decrease after the serious avalanche disaster in 2014 when 16 climbers died in the Khumbu Icefall. I thought that people would realize the dangers especially on the south side, in particular more and more climbers in a certain way jamming up to death. But apparently the opposite happens. The agencies speak of good booking numbers. Especially the Nepalese agencies are very active. I think it will be busier than ever before. Does what’s going on on Everest have anything to do with climbing? Of course, real climbing falls on the wayside when so many people try to climb on fixed ropes at the same time. People evaluate climbing differently. Maybe one or the other perceives climbing with 30 or 40 others within 50 meters of fixed rope as exciting. But that’s not my way. However, I think that’s up to each. And as long as the regulations to limit the number of climbers do not work, even actually do not exist, the situation will not change. This discussion has been going on for years, not to say for decades. 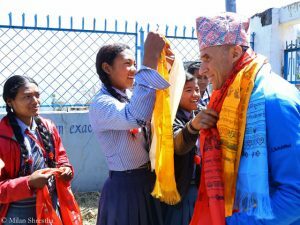 Do you think there will ever be rules that will make Everest less busy? 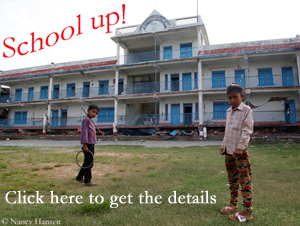 I am very skeptical because the Government of Nepal is not taking the problem seriously. It’s all about money. 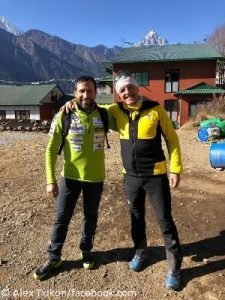 The rules that were issued most recently with the aim of excluding disabled climbers were completely wrong. Later the government had to withdraw this regulation. That was really no way to find a solution. 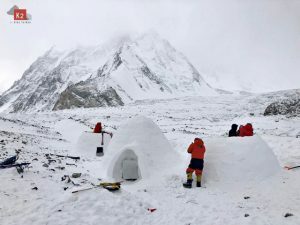 I think it’s just about asking and proving whether people have been on a seven-thousander or maybe even on another eight-thousander before coming to Everest. I mean that’s the only way to reduce the number. But as long as some Nepalese agencies take every client who has the wherewithals, the situation will not change. In recent years the Kangchung side of Everest, the eastern flank of the mountain, was completely deserted, and the attempts on the North Face or the Southwest Face could be counted on the fingers of one hand. It almost feels as if top climbers stay well clear of Everest. 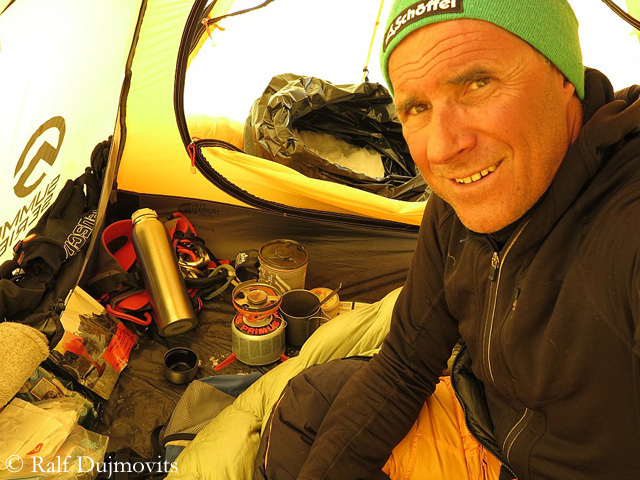 Among so called “real” climbers it is almost frowned upon to be on Everest. The more modern destinations are unclimbed, difficult six-thousanders and challenging routes on seven-thousanders. 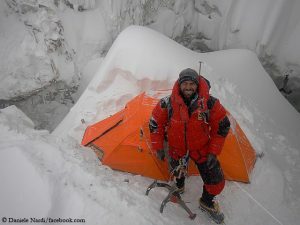 In Pakistan, there are ten still unclimbed seven-thousanders. I think the younger, ambitious climber will find their destinations there as well. Is it possible to speak of guaranteed safety on Everest when so many people ascend on the same route, even if they lay two parallel tracks? There has never been a guaranteed safety. But even what is called a “99 percent safety” in the brochures does not work if so many people are en route at the same time. 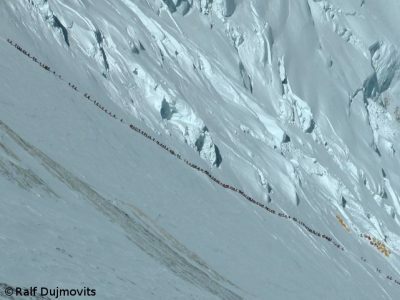 There are some bottlenecks on Everest, e.g. the “Yellow Band” (at 7,500 meters below the South Col) or the exposed summit ridge. Traffic jams will continue to occur there. And these jams remain a great danger in case of sudden changes in weather, which can never be ruled out. Do you think that many climbers switch to the north side of Everest for safety reasons? 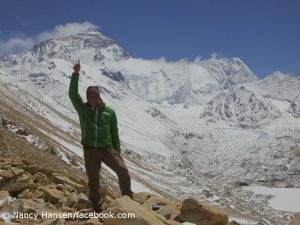 The tendency for more people climbing Everest from the Tibetan north side is noticable. Some big operators have switched to the north. Kari Kobler has been over there for a long time and does really a good job. The Chinese take their task very seriously, both as organizer of the base camp and in terms of mountain infrastructure. On the north side, the regulations are taken more seriously. It’s not just about money, but also about the climbers’ safety. Therefore, I can currently only advise: Go to the north side!